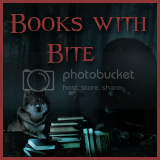 The Eclectic Bookshelf: Bad reviews going to far? Bad reviews going to far? Recently, I was going through my goodreads updates and I came across a Bad Review for Hades by Alexandra Adornetto. Basically this person did nothing but tear the whole book apart. Literally, had NOTHING nice to say about the book at all. Then I decided to check out Hades page on goodreads...Needless to say it only gets worse. Not only do some reviews tear the book apart, they also go as far as taking pot shots (in my opinion) at the author. Now I know that everyone is entitled to their own opinion but still? Do you really need to go so far as to put things like the passages below in your reviews? Or please check out this "lovely" screaming review. Or even this gem. The worst part? Reviews like these in some circles seem be celebrated. I thought that the point/purpose of all this reading and posting reviews was not only to post our honest feelings whether they be good or bad, but to find even the tiniest sliver of good in a book that you have to review that you REALLY don't like? Do we really need to go so far as to tear someones work completely apart? I think at times there are people out there in the book blogging community that forget that behind every book is a living breathing person who not only put a lot of time into that book but also has feelings too. So readers, Have you ever come across a Bad Review that you think was "over the line?" Have you ever said or done anything when/if you come across reviews like this? Do you personally write bad reviews? How do you go about the process? Yeah reviews like that are lame. I hated the book okay explain why. Plus why be rude and snotty about it. The passage you provide as an example is an example of someone who shouldn't review books. I also hate it when a person gives a bad review on amazon but it's for a shipping issue not on the actual book itself grrr stop messing with the author that way. I personally don't like those really savage reviews, but I just try to stay away from them. I suppose if the readers really paid their money for the book and really hated it that much, then they have the right to say so. All across the internet, whether discussing books, TV shows, celebrities or whatever, there are people that are really, really harsh and I've read some things that have made me gasp. But I think just not reading that stuff is the best thing you can do (easier said than done, I know. I've rarely resisted the temptation to look at comments after news stories and always regretted it). I do say some negative things in my reviews but I hope I'm not harsh and I always say positive things, too. Like mawa use to say. "If you have nothing nice to say" Keep it to yourself. Where is the compassion people? If I give a bad review I try to be professional about it. I explain why I didn't liked it, and I also say what I would have liked. I also point out to the things I did like (a character or the prose). People who leave reviews like that on Goodreads are ranting. Personally I find those kinds of post pretty childish. "I thought that the point/purpose of all this reading and posting reviews was not only to post our honest feelings whether they be good or bad, but to find even the tiniest sliver of good in a book that you have to review that you REALLY don't like?" No, I disagree. You're not obligated to say anything except your honest opinion, and if you honestly found no good in the book, you don't have to go out of your way to find it, or make it up. That seems silly to me, and if you're going to write a review, positive or negative, why sprinkle it with dishonesty, just so you don't seem harsh? If I've taken the time to finish a book I dislike, I'll write my review accordingly. Recently I read a book that I really hated, and found no good in, but finished it since it was less that 200 pages long. My review may have been harsh, but I know that at least readers can know I'm honest. Even if I'll write a negative review, I'll never take a personal shot at an author. I'm not a mean person in general, so I don't feel the need to be mean to an author just because I didn't like her book. Wayy too far! It's funny, because about 15 minutes ago I was reading another post about bad reviews (should bloggers post them or not) and I think that we should post honest reviews. If you honestly did not like a book, you should be able to say it. But never take it too far. Do not bash the author and don't only talk about negatives. There must have been something you liked about the book. Was the idea a cool one? was the world created nice? did you like ANY of the characters? Find something, because these authors poured themselves into these books and to find thoughtless, cruel 100% negative reviews do not help anyone. try to be constructive about it, so that people will understand why the book was not for you. It should be as balanced as possible in my opinion. I do write about books I really didn't like, but I clearly illustrate why I didn't like it. I never make personal comments about authors because it is unprofessional and really mean spirited. I saw a review that literally said "F*** you" to the author and it was sooooo unnecessary.